Busy Bee Childcare Center gives small children a glimpse of their Vietnamese culture and Catholic faith. 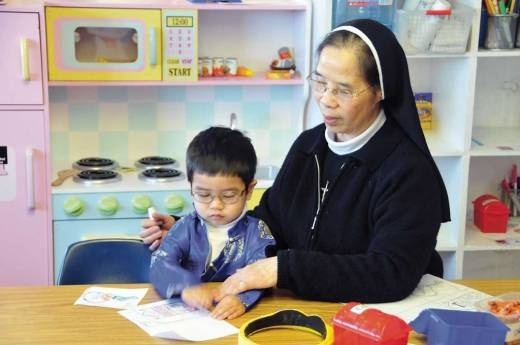 Located in a cheery house at the end of a suburban cul-de-sac in Fairfax, Busy Bee Childcare center is run by the Sisters Adorers of the Holy Cross, who immigrated to the United States from Vietnam in 1975 and started a small community in Virginia. Today, the order has 30 sisters working in Virginia, Oregon and California.